Value chain development (VCD) is increasingly seen as a way to stimulate economic growth, combat rural poverty and engage smallholders in agricultural development. It aims to facilitate the building of mutually beneficial links between smallholders and other chain actors, such as processors, exporters and retailers, who interact in the production and marketing of a given product. 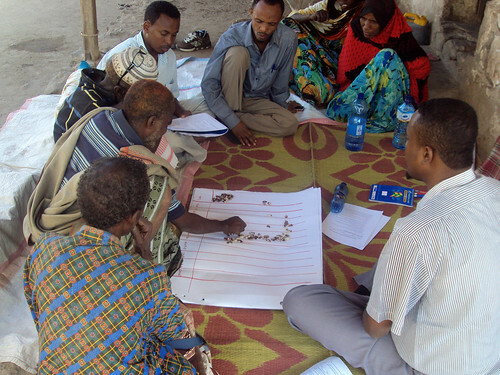 It is a key element in the design and delivery of the CGIAR Research Program on Livestock and Fish. As VCD has emerged, numerous guides have been published on how to conduct value chain analysis. The World Agroforestry Centre (ICRAF) and the Technical Centre for Agricultural and Rural Cooperation (CTA) have just released a timely report that reviews 11 guides for VCD. The authors compare the various concepts and methods and assess the strengths and limitations of the guides. They suggest three areas where further reflection and debate is needed: 1) concepts, methods and tools for addressing the needs of the poor in value chains; 2) tools for deepening analysis and addressing variations in the context; and 3) mechanisms for mutual learning on the design and implementation of VCD. They conclude with various recommendations for guide authors and donors that support VCD. Tags: CTA, ICRAF. Bookmark the permalink.